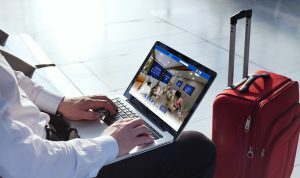 Sugar Hill, GA – February 6, 2019 – Virtua Hospitality Inc., a provider of advanced virtual solutions for the travel and hospitality industry, has announced the launch of UgoVirtual, a comprehensive online platform designed to meet the growing virtual travel and event management/hosting needs of the global travel and hospitality sectors. Leveraging the most recent advancements in virtual reality, web conferencing and e-learning technology, the exclusive UgoVirtual platform allows event organizers and meeting planners to virtualize a variety of events, such as industry tradeshows, corporate meetings and conferences, replicating the experience and content available at on-site events. The flexible and highly configurable UgoVirtual platform can be utilized to host a stand-alone online event or alternatively, to augment an on-site event by creating a virtual version of it for remote attendance, participation and learning. The brainchild of a group of hospitality and technology industry veterans with over 80 years of combined experience, UgoVirtual was specifically developed to resolve the pain points of show organizers, as well as hotel professionals who have too many conferences they would like to attend but not enough time or money to attend them all – or to attend all the various sessions, booths, etc. that they need to during the ones they do physically attend. Having experienced these critical benefits, many top-tier enterprise companies worldwide are increasingly investing in online events for both external and internal interaction and communication. Virtual events allow them to reach previously untapped audiences and create deeper connections, while increasing engagement and retention of event content. They also provide the ability to track event ROI and reduce travel expenses. Attendees of virtual events also tend to connect more often and for longer periods, since the content can remain online after the physical event has ended. For more information on UgoVirtual’s comprehensive virtual platform for the travel and hospitality market, please visit ugovirtual.com. About UgoVirtual |UgoVirtual is a comprehensive digital platform exclusively focused on the global hospitality and travel sector that provides virtualization of industry tradeshows, corporate events, meetings and hotel property tours. As technologies like virtual reality, e-learning and web conferencing have converged, the UgoVirtual platform harnesses their combined power to resolve the pain points and challenges of event organizers, exhibitors and industry professionals, making it possible to BE EVERYWHERE. 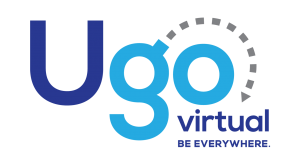 The brainchild of a group of hospitality and technology industry veterans with over 80 years of combined experience, UgoVirtual leverages a proven digital platform that is currently utilized by many of the world’s leading enterprise organizations to virtualize events, provide on-demand content and allow online collaboration and learning environments. For more information, please visit ugovirtual.com and connect with us on Facebook, Twitter and LinkedIn.